Yoga helps you do just that. Its origins are often traced back to the 5th and 6th century BCE and it is an Indian practice or discipline that helps interconnect the physical, mental and spiritual aspects of yourself. Meditation is an important part of yoga. Meditation helps relax your mind. You find your body de-stress itself as the tensed up knots in your shoulders loosen with each inhale and exhale of fresh air. The different postures or asanas of yoga increase your muscle flexibility. To sum it up, Yoga is rejuvenating and refreshing. Doing yoga every day is bound to keep you healthier, younger and fitter. If you honestly ask yourself, there is no reason why you should not be doing yoga everyday. The benefits of yoga are many and the basic health benefits are known by all. In the country that is considered as the birth place of Yoga, the pressing question would be, which is the ultimate yoga destination? That one place which is a haven for a Yoga lover. The answer to which would be Rishikesh. Ever since the famous rock band The Beatles visited the Maharishi Mahesh Yogi’s ashram in 1968, Rishikesh’s reputation as a Yoga hub has been on the rise. Since then this city has seen many Yoga centres crop up. Often cropping up along the foothills of the Himalayas, these yoga retreats offer you a relaxing environment, amidst the glorious mountain backdrop, with nothing but the sounds of crickets and nature surrounding you. Rishikesh’s location, with the snow peaks, trees, nature, soft sun and the gushing water makes it an ideal destination for a yoga retreat. Far away from the pressures of the urban life, Rishikesh’s Yoga retreats offer you a chance to get in touch with yourself and find inner peace. A dip in the holy river that flows through it gives you a chance to attain Moksha, the ultimate stage of human life. If you’re a yoga enthusiast, then the annual International Yoga festival that is held every year in Rishikesh is your place to be. Many famous celebrities like Uma Thurman, Jeremy Piven have found their way to Rishikesh and the Yoga ashrams for a spiritual journey. Swarg Ashram, Rishikesh Yoga Peet are just some of the famous Yoga retreats in Rishikesh. 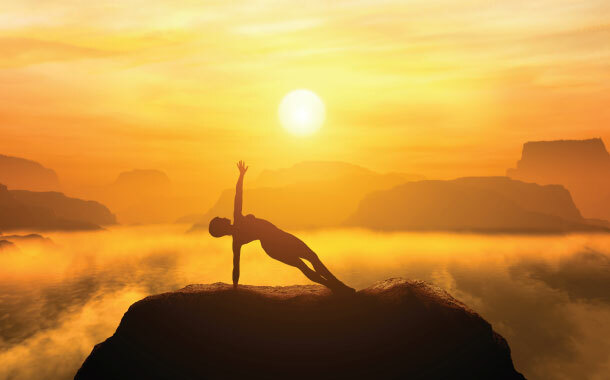 Even if you’re not an avid Yoga enthusiast, a trip to the Yoga centres of Rishikesh is a must. At least once in your life it’s important to leave behind all your material possessions and get in touch with the roots of nature and yourself, even if it happens to be just for a few days. So don’t wait anymore, just pack your bags and head on to Rishikesh and begin your spiritual journey that will bring you closer to yourself.